It wasn’t long ago that beer fell into the “simple staple” category in the United States, much like Wonder Bread, Campbell’s soup and Oscar Meyer meats. Grabbing a six-pack of Budweiser, Miller, Coors or Pabst was a fairly uneventful occurrence, kind of like buying a carton of milk. Times have changed: Americans now look at beer the way wine connoisseurs look at a perfect bottle of Burgundy. To know good beer is to know its roots. Going back as far as the Middle Ages, Hefeweizens are one of Germany’s most celebrated styles of wheat beer. Hefeweizen, which translates to “yeast wheat,” is a cloudy, unfiltered brew that has a distinctly fruity—yet spicy—scent. Often lightly hopped and highly carbonated, this refreshing brew offers a smooth, crisp taste perfect for summer barbecues. Popular among craft beer lovers, India Pale Ale dates back to the late 1700s when British brewers began adding extra hops to brews that were sent to warmer climates. The idea: Extra hops would extend the shelf life of the libation, especially during long voyages. Being that the British soldiers and civilians who colonized India during this period had a penchant for beer, the bulk of this special brew ended up there. Hence the name India Pale Ale. Another favorite among connoisseurs, the Imperial stout is a dark beer with roots in 18th Century London. Also known as Russian Imperial stout, the strong brew was commonly exported to Baltic regions because of its rich taste and ability to remain fresh during shipment. Particularly popular on the modern American craft beer scene, some of the best beers in the world are imperial stouts. With an average alcohol by volume range of 8 to 12 percent, this full-bodied brewski should be savored. Born in the City of Pilsen, Bohemia, in 1842, Pilsner was the answer to the low-quality beers of the era. The beer back then was so bad that citizens dumped it in the streets in protest. To remedy this problem, the local brewery hired Bavarian brewer Josef Groll to create a beer of high standards, which he did by using the German method of bottom-fermenting. The result was a clear, golden beer that was smooth and refreshing. Stronger than the typical lager, Bock is a rich brew that dates back to 14th Century Germany. German monks typically brewed this style of beer for special occasions and holidays, including Christmas and Easter. Bock contains a higher nutritional content than most beer, which also made it the perfect liquid substitute for the monks to drink during Lenten fast. 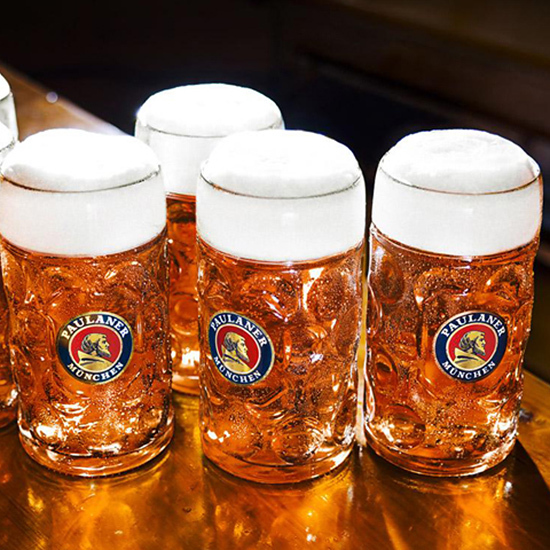 One of the most recognizable seasonal beers in the world, Oktoberfest is enjoyed by millions of beer lovers each year. Also called “Märzen” (German for “March”) because of the old brew cycle, which involved making the beer in spring and storing it until fall, this style of lager dates back to 16th-century Bavaria. The dark colored beer is full-bodied with a mild hop flavor.